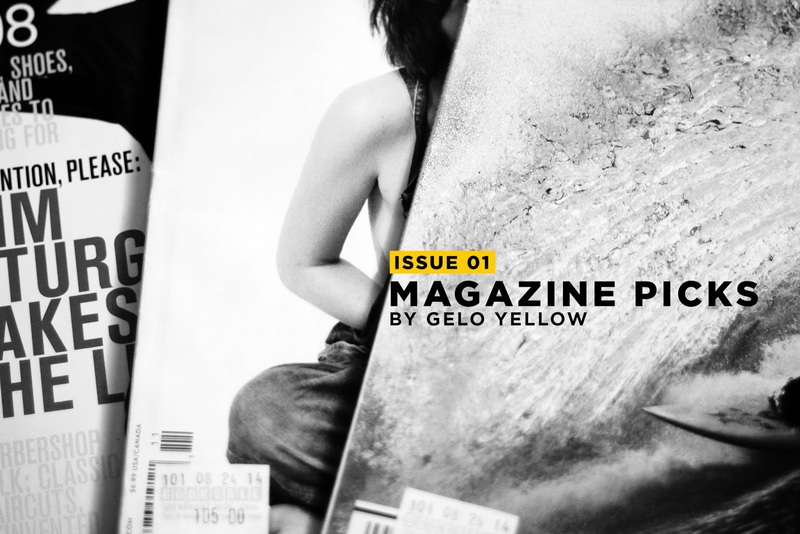 I’m introducing a new series on my blog where I show you some of the (kinda) old but still precious magazines that I find in book stores and magazine stands such as Book Sale. One of my annoying habits is impulse buying and I decided one day to just go to that store and look for magazines that might interest me. Now that’s how this blog post got born. 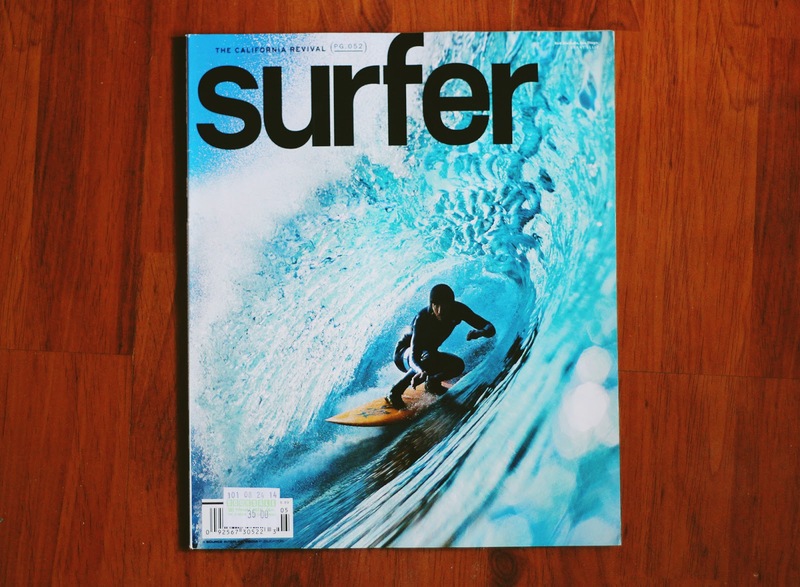 For the first one, I bought a magazine called Surfer. 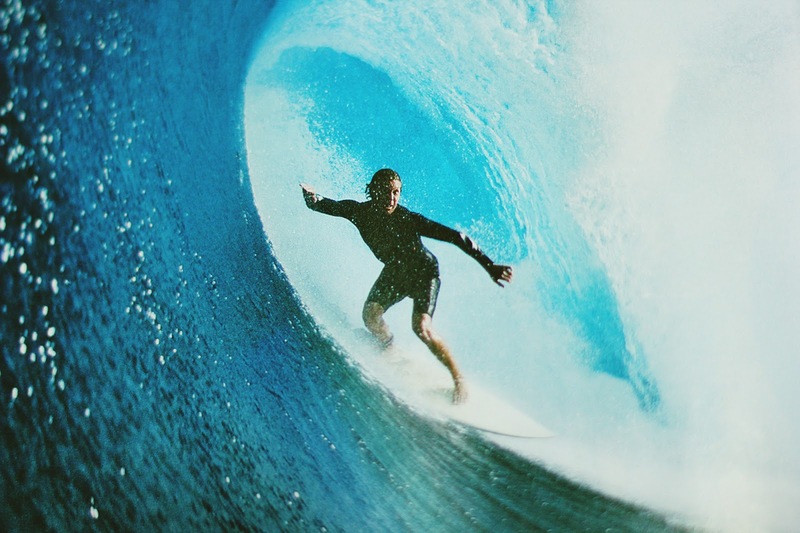 I don’t know how to surf but I’ve always been interested in the culture/sport. It’s kind of frustrating because I think I’ll never be able to surf because I’m wearing glasses. There’s a 100% chance that it’ll fall in the sea. If I wore contacts, it’s going to meet the same fate. Maybe one day! I haven’t read the magazine yet but I loved the photography after skimming it. What I noticed is an abundance of advertisements which make it hard to distinguish which one's an article and which one's an ad. Next up is Nylon Guys Mag which I got for only Php 70 ($1.6). I don't care if it's an old issue because I don't have this one yet. New issues of Nylon here are so overpriced! It's double the price of the original one. 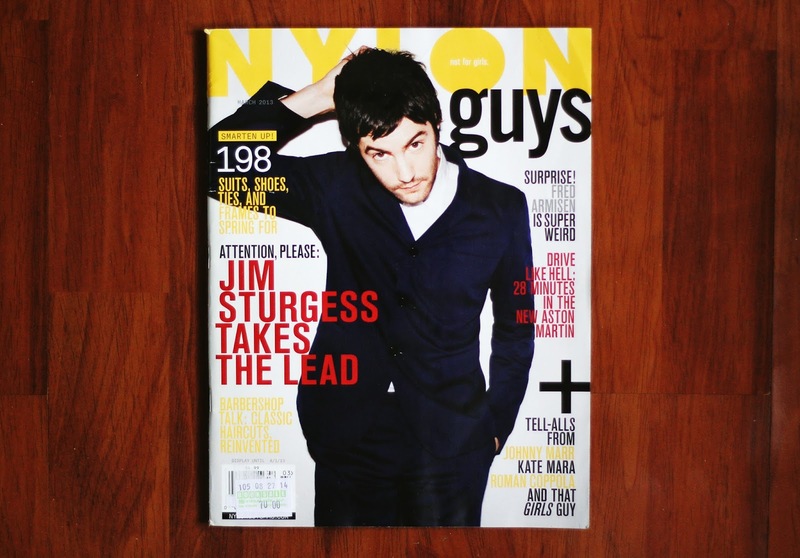 This is my second issue of Nylon Guys. The first copy I had was the one with Casey Affleck on the cover. I'm planning to get the cover with Aaron-Taylor Johnson next if it's available. 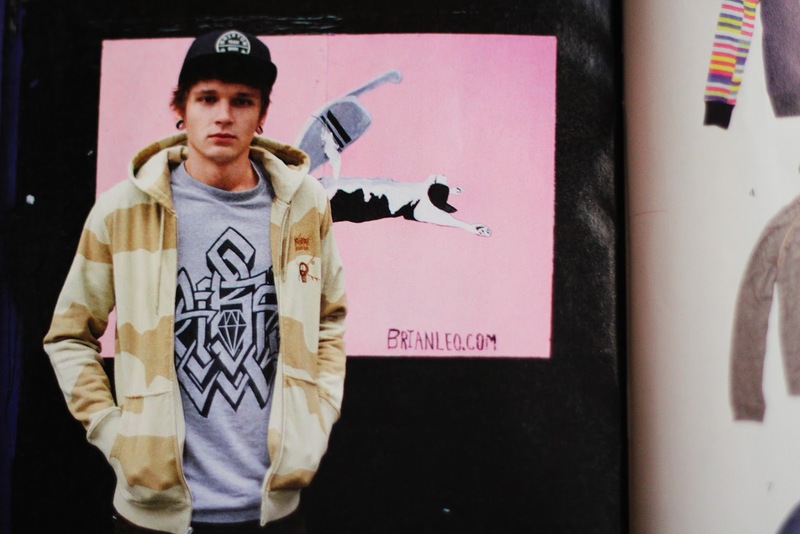 I really love the contents in Nylon Guys that's why I stopped reading every other guys' fashion mag except for GQ. I'd love to work for them one day! 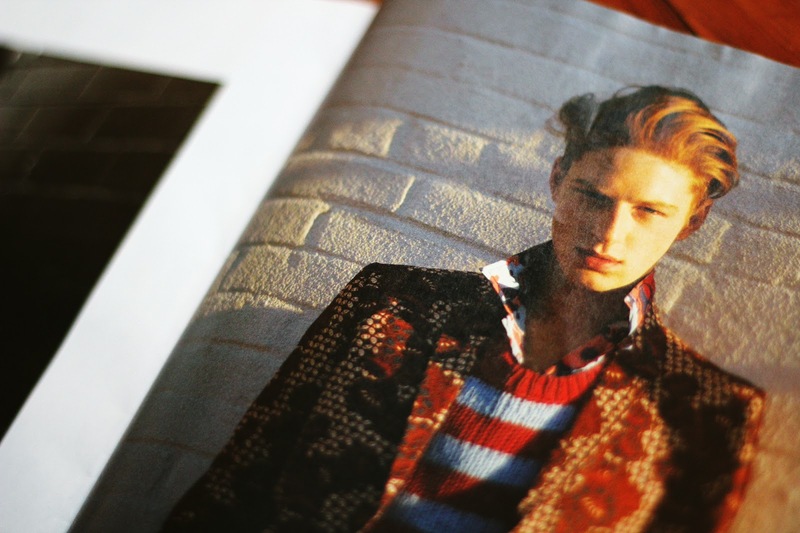 The part of the magazine that I most look forward to are the fashion editorials. I just really love fashion photography and the themes you can explore with it. That's a career I'd like to have one day besides the many things I want to be. Haha! 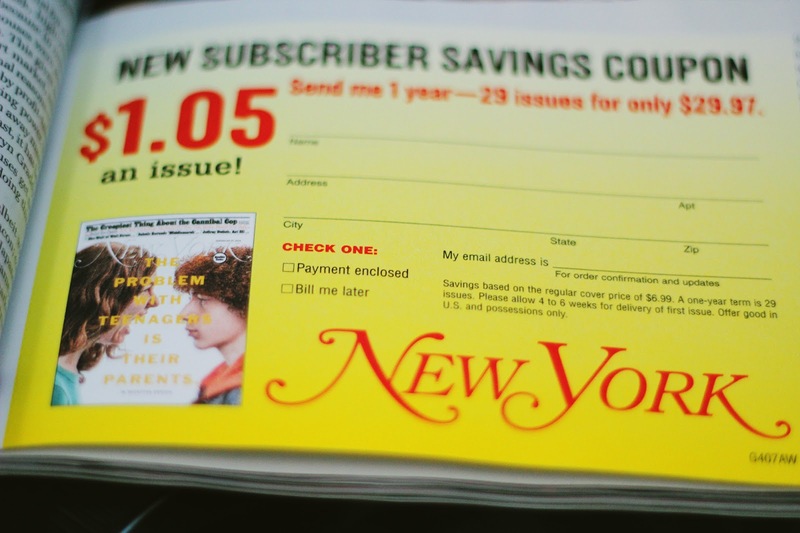 Because of the great content, you'll actually read the whole magazine and not just skim through it. The last one is New York magazine. The main reason I bought this is because I love all things New York. 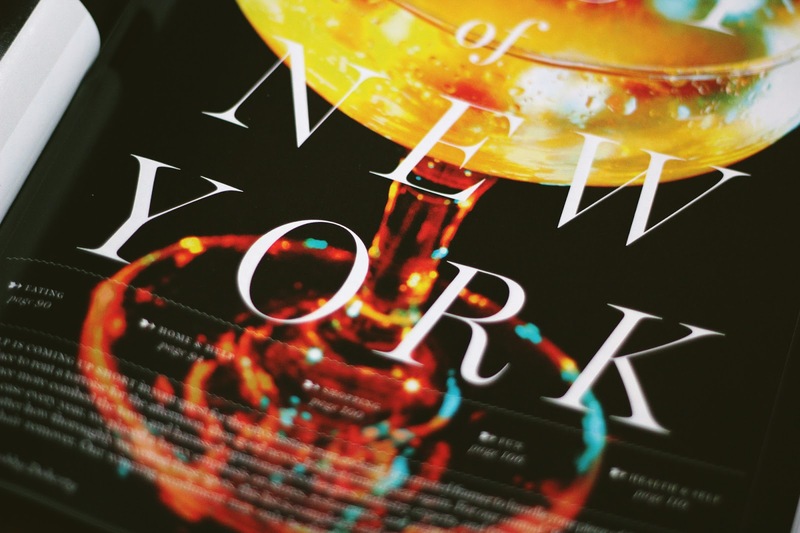 And because this IS New York Magazine. This is your basic guide to life and culture there. I can't believe a new issue comes out every week! There's just so much stuff to read about. It would be a dream come true if I settled (maybe) and had a graphic design career (definitely) there. 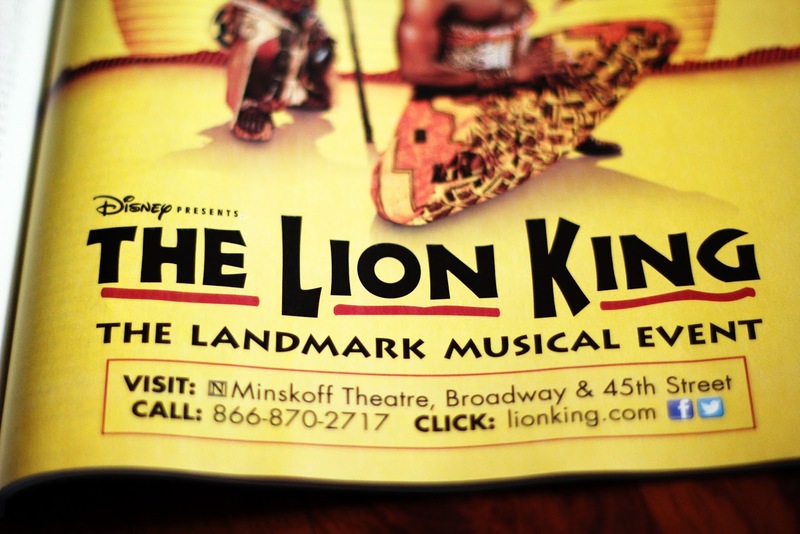 My favorite part of the magazine are the ads for Broadway shows! So that's it for the first issue of my Magazine Picks. Hope you guys liked it. I'll definitely be looking out for more magazines soon. Comment below what your favorite magazine is and I'll check it out!